avec salade d'algue, concombre, tomate, salade vert, sauce spéciale faite maison. Un délice de bout en bout. Nice and inviting environment. Dragon tempura maki was tasty, well presented and interesting in terms of texture. 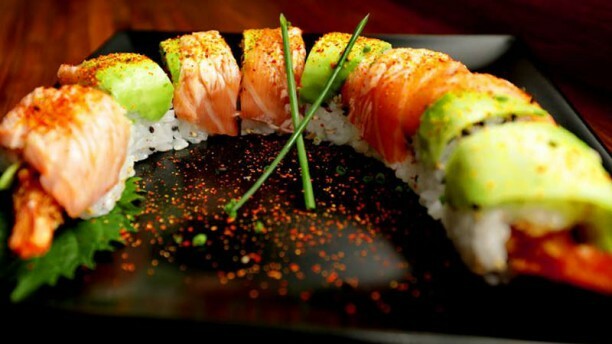 Italian maki...no much! Salad portion (consider the price) was insufficient and not really fresh. Overall, quite expensive if you wish to feel satiated. very good. nice atmosphere, good food and good company. such a perfect lunch. highly recommended! All rolls we tried were fine; fantastic value for money. The setting is nice. Excellent Japanese restaurant! With the discount, more than affordable. The wait was long but we had time. I recommand this restaurant! Very Nice waitress as well.